Parliament House Jatiya Sangsad Bhabon is a majestic public building. 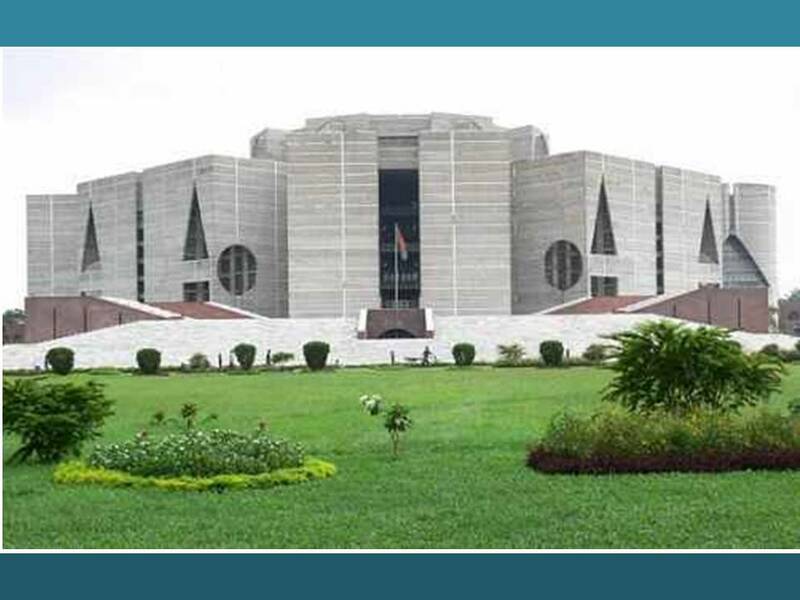 It is located in Sher-e-Bangla Nagar. Starting from the beginning of architectural history, say from the time of the Pyramids till modern times, if a list of most significant buildings of the world is made, the Parliament House complex will feature very prominently among the top few in that list. It can be said to be the culmination of the modern period of architecture and the beginning of that of the post-modern era. This magnificent building stands as a silent evidence of the creative devotion and poetic vision of its American architect, Luis I Kahn. The construction started in 1964 with an initial estimated cost of about $15 million. The construction of the complex along with all services and facilities was completed in 1982 at a revised cost of $32 million. The complex includes the National Assembly Building, hostels for members of parliament, ministers and secretaries, hospitality halls and community buildings all linked by roads and walkways and surrounded by attractive gardens and lakes.